Similar to other trades, Locksmith too has its own tools to use. These tools may seem puzzling for the layman. Each of the tools is used for some special purpose. A good locksmith is skilled and deft and has a keen eye which makes it easy to pick on the tiny details and mechanisms of a lock. The common task that is asked by customers from Riverdale Locksmith is lock picking as this is the most inexpensive style of opening a locked door. Plug Spinner: It is used to rotate, lift, and move the plug to bring it to its natural unlock state. 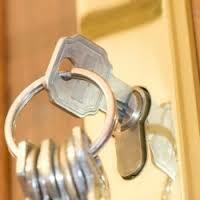 A locksmith needs prior knowledge of the perfect positioning of the components of the lock. Computerized Picks: It is used for more complicated lock types like combination systems. The instrument is made of steel and it is used for arranging up to six pins and discs. Tension Wrench: It is used to apply and control the right amount of turning pressure required to access the sheer line. There are three types available: rigid, medium and light. Key Extractor: This tool is used to remove broken keys and their parts, broken keys as well as other foreign material used as key parts. Electric Pick Gun: Electric Pick gun is a kind of small drill that runs on electricity. It is easy to replace the pick as is with any other electric drill. A locksmith has different picks available with them in different small sizes. These comprises of the basic gadgets that a locksmith uses for lock picking. Of course, tools are also available for other purposes like for repair or installation. These include deadbolt installation kits, key cutters and locksmith hammers.